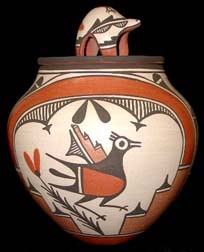 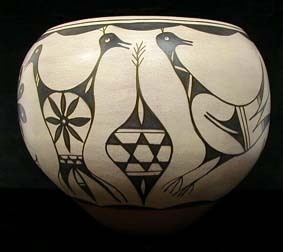 Tammy Bellson is from the Zuni Pueblo. 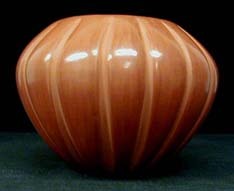 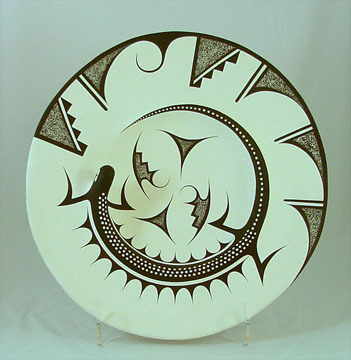 She and her sister, Yvonne Nashboo, learned pottery from their grandmother. 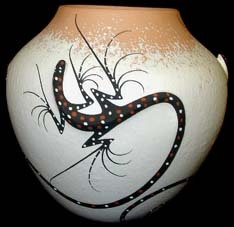 Tammy likes to include lizards in her pieces, and works in traditional black on white, as well as with red polychrome designs. 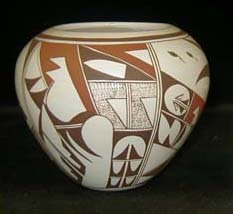 She has been creating pottery since 1988. 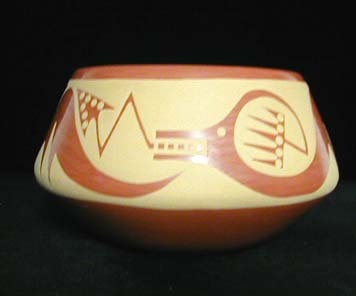 Hallmark: TB Zuni. 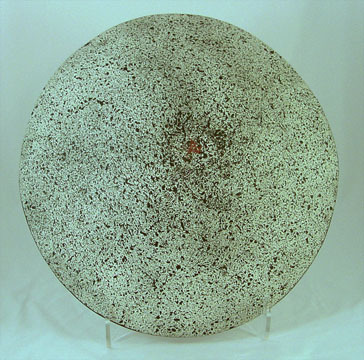 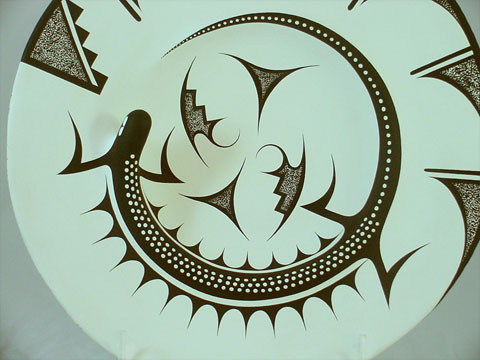 This is Large Plate, measuring 18 inches in diameter by 2.5 inches tall.